For this project we had to take a cookie, draw how it looked on the table, then every time we took a bite we would have to re-draw it again and again, including crums. This is my drawing of where we took an object like a flower or a leaf, and make it bigger and brighter. 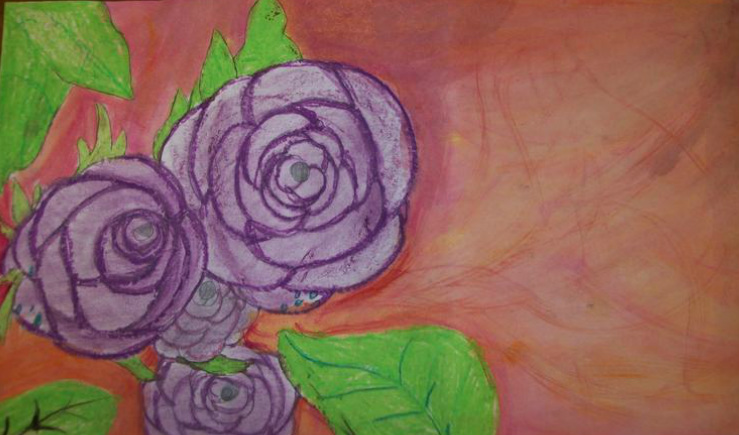 I took a purple flower and turned it into a rose, complete with a pink and purple background. 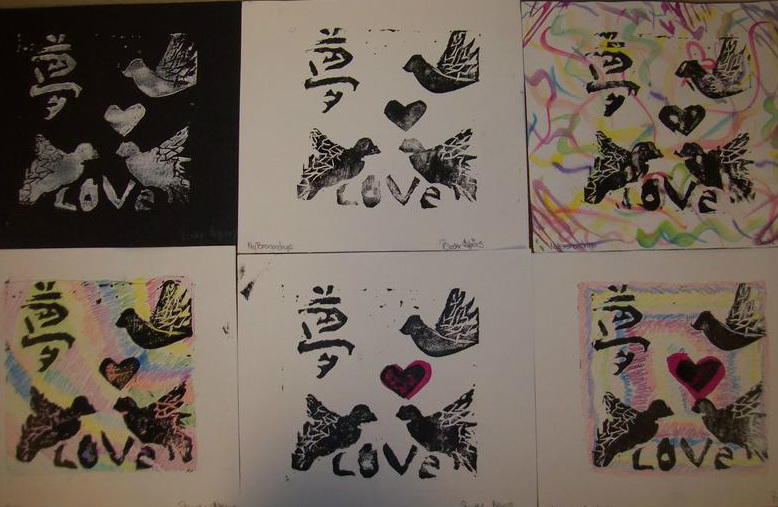 This is the the project where we took a stamp, carved the inside out into a design we liked, and stamped muliple times onto different colored papers. 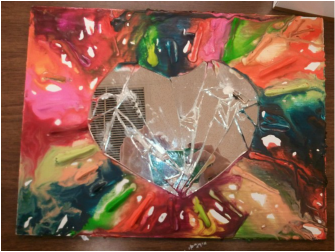 This is my crayon melting project. In the middle of the crayons features song lyrics By Mumford And Sons. This here is my final, It will look like the picture on the left if i can finish it on time. I probabbly wont. But here ya go. We had to draw someone who meant something to us. I drew a kinda not famous singer named Lights. Her songs have a lot of meaning and they are really good. Shes such a free spirit and that makes her a role model to me. This here is my attempt at water color. 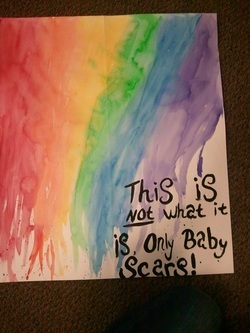 It features a rainbow in the background bleeding onto of mice and men lyrics. I wanted to try to mosaic something, so I mealted crayons around a heart shape. I then took mirrors and ATTEMPTED AND FAILED mosaicing. I decided to do something more me. Which I guess is finding my inner nerd. 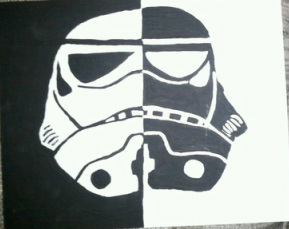 I like star wars and lord of the rings and I think for my final art gallery things I will be doing more black and white paintings of things i like, like video game charators and more. This was my favorite project of mine.